Never heard of calamansi before? Don’t worry, before trying the incredible Calamansi Whitening Pack from EyeNLip Beauty, I hadn’t either. This delightful Southeast Asian skin care ingredient is just what you need for an ethereal glow. 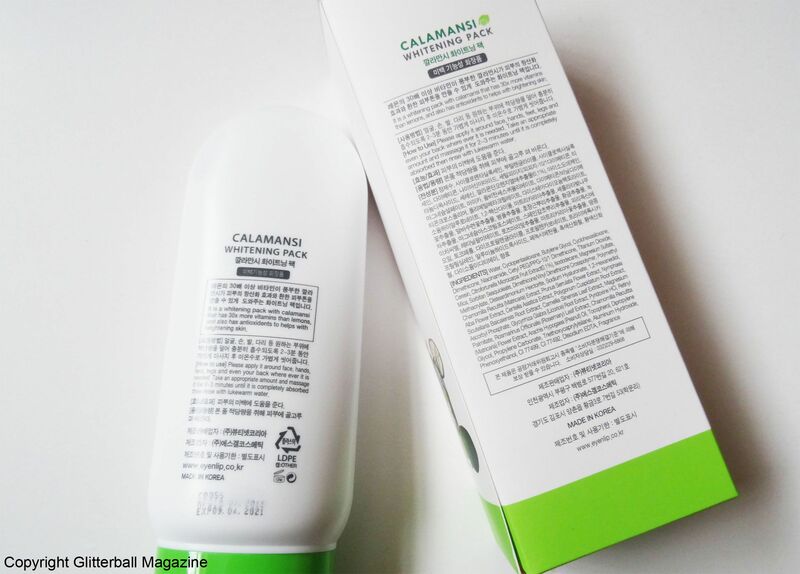 I’m always on the lookout for innovative skin care formulas and new ingredients to share with you and in this blog post I’m going to talk about my first experience of using a beauty product with calamansi as the main ingredient. What are the benefits of using calamansi? Packed with 30 times more vitamin C than lemons, calamansi is key to eliminating tired skin and boosting a dull complexion. Resembling a lime, it’s high in antioxidants and thanks to its ability to clean skin and tighten pores, it’s the perfect ingredient to address a range of skin care concerns including acne, hyperpigmentation, rosacea and dehydrated skin. Vitamin C helps tackle harmful free radicals that are responsible for wrinkles and first signs of ageing, so that fact that this product has an impressive amount of it meant I couldn’t wait to try it. 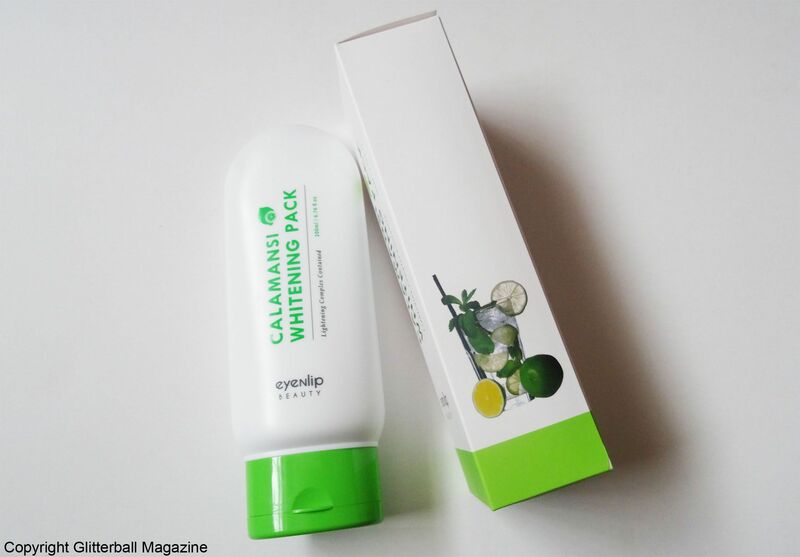 Although it’s well known that citrus fruits can help lighten skin, I’d like to stress that I’m not using the Calamansi Whitening Pack for skin whitening. I’ve shared my struggles with rosacea in the past, and for anyone that also suffers from it, you’ll know how frustrating it can be to have a flushed appearance and irritated skin. Hence why I was keen to find something to revitalise and clear my skin. Having rosacea and sensitive skin is often problematic because I often don’t know how my skin is going to react to new skin care products, particularly to anything containing citrus fruits. Thankfully this pack includes hesperidin (an active ingredient found in calamansi) to reduce inflammation and soothe sensitive skin types. 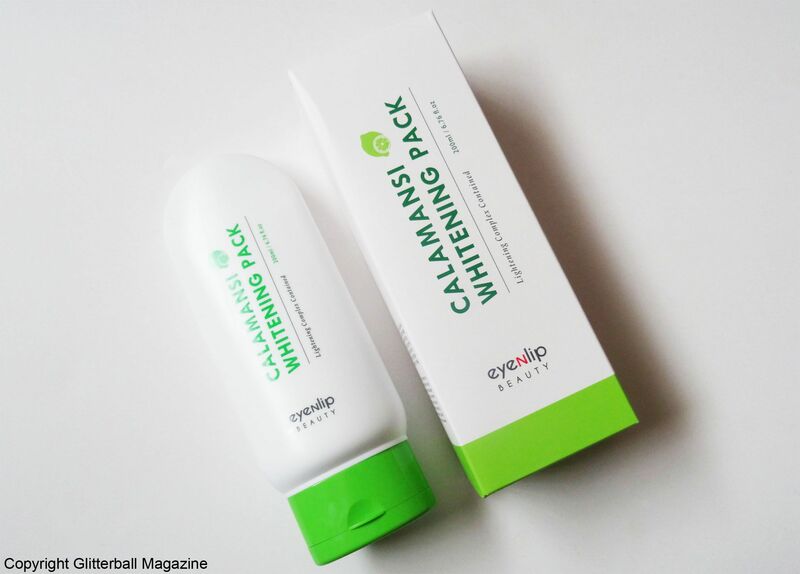 As we’ve already established, the EyeNLip Calamansi Whitening Pack is brimming with vitamin C, which is famous for its brightening and anti-ageing properties. Niacinamide also features high up in the ingredients list to control oil levels in the skin while reducing redness and protecting the skin’s barrier, particularly useful when the temperature drops. It also improves skin texture and minimises pores. Peanut oil helps replenish moisture levels in dry or dehydrated skin and tocopherol is rich in the antioxidant vitamin E to prevent the breakdown of collagen to keep skin firm, thus slowing down the ageing process. This skin care saviour contains an innovative blend of seven natural extracts including green tea, liquorice, camomile, rosemary and… vinegar. I know what you’re thinking, but don’t panic. Like the above mentioned extracts, vinegar is extremely beneficial for soothing inflamed or sensitive skin. I’ll admit, I’m not used to applying wash off masks for less than the standard 15-30 minutes but this was very fun to use. After washing my face with an oil cleanser, I apply a generous amount evenly to my skin (once I’ve finished smelling the gorgeous citrus scent!) and gently massage it in for the suggested time of two-three minutes. The creamy texture of this whitening pack means it’s easy to rub in, doesn’t pill and isn’t sticky on my face. Always a bonus. I find this mask easy to wash off with lukewarm water. More than often than not, wash off face masks can be an absolute nightmare to remove but not this one. My complexion is noticeably smoother with this. Not only is my skin remarkably softer but pores are less noticeable on my forehead and chin. My skin feels and looks so much healthier and cleaner. As I said earlier, I don’t want to whiten my skin tone but it’s lovely to see my skin looking brighter with a dewy glow. I like to use it in the evening after cleansing my skin before I apply a sheet mask. Although this is also suitable to use on hands, feet and legs, I prefer applying it to my face. The large bottle size of 200ml is fantastic value for money. Because I’m really impressed with the benefits of using calamansi on my skin I’d definitely buy this once I’ve finished the tube! If you’d like to find out more about how to get the must-have dewy (chok chok in Korean) to rival your favourite K-pop star, why not check out my top 3 Korean brightening sheet masks? This product was gifted to me by Beauty Net Korea but this does not influence my opinion.